Your kitchen renovation is just around the corner. And you can already imagine cooking in your newly redesigned space. You’re thrilled about the fresh layout and about the appliance upgrades you have planned. Still, there are a few things left to do before getting started on the remodel, and one of them is hiring someone to install new counters. 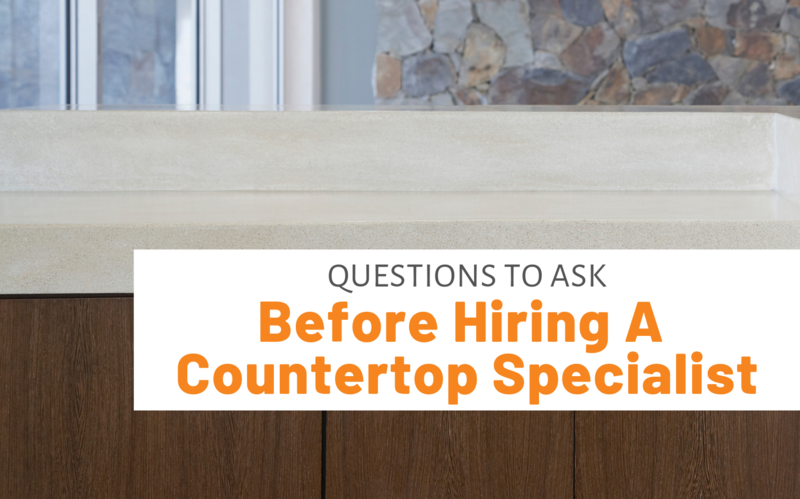 That’s why you’re wondering what questions you should ask before hiring a countertop specialist. Let’s start with the company itself. Here are some things to look into regarding a countertop specialist you’re considering. Is the company licensed & insured in accordance with any applicable laws? For you, checking into this could be a self-protection mechanism. You want to know that if anything unforeseen happens, you won’t discover too late that the company doesn’t have insurance coverage (or isn’t operating legally in some way). Is the company knowledgable about their work? Especially if you’re new to the world of countertops (what’s the difference between marble and granite anyway? ), you want to find someone who’s well versed in their trade. What kind of countertops do they offer? If you’re looking for a specific type of material, be sure you check that the countertop specialist does indeed offer it. What do they have the most experience installing? Here’s another question you might ask. Perhaps, you’re looking for a company that has installed hundreds of marble slabs because you want yours done by an “expert.” In that case, discovering that a potential installer primarily works with man-made countertop options may lead you to seek another company. Next, keep in mind that there is more than one party involved in your kitchen countertop installation. Of course, there’s the countertop specialist. But, there’s also you & your family. You’re the ones whose home is being worked on, the ones who will be using the countertop in the future. Plus, you’re likely best situated to know your own needs and wants for your kitchen. Here are more questions to consider. Is the company responsive? Let’s say you’ve reached out to the company, had a great conversation, and they’re seriously “in the running” as far as you’re concerned. However, when you followed up with a few questions, you got no response. In fact, you’re still waiting to hear back from your “personal countertop consultant.” And this has you worried—you don’t want to get stuck with a company that is difficult (or impossible) to get in touch with. Do they listen to you? Of course, you want to make the best of your countertop specialist’s expertise. Why, if you didn’t want help from a professional, you would have taken a DIY approach. You roped them in because you wanted their perspective. However, you’re still looking for people who take the time to listen to you, asking instead of assuming what you want. 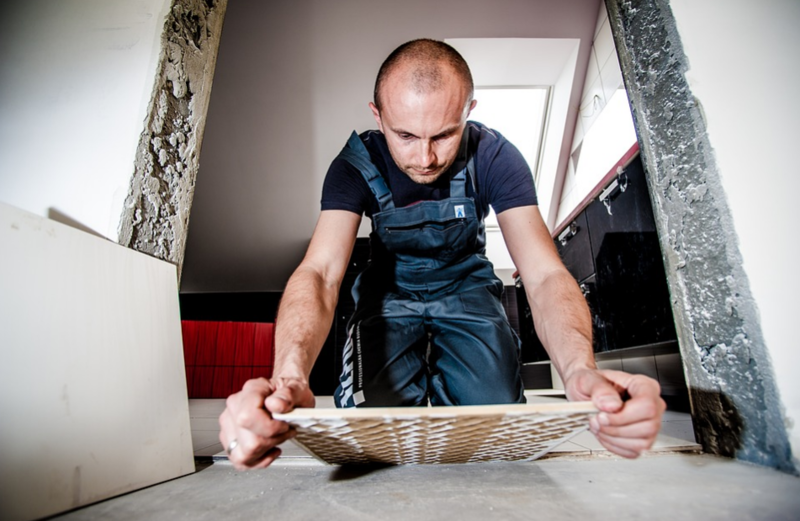 Will they take responsibility for protecting your home during the work process? Obviously, you only want people in your home who will treat you and your space respectfully. To get an idea of what you don’t want, check out Granite Nightmare (pictures to prove it). So, we’ve talked about the company itself and about your relationship with the company. Now it’s time to run over the company and others’ experiences (past customers, competitors, or subcontractors, for example). Can you see prior work? It’s always a good idea to ask your countertop specialist if you can see their portfolio. Do they have pictures of jobs similar to yours which they’ve successfully completed? Of course, if they haven’t done other similar jobs, that doesn’t mean they won’t succeed at yours. However, if they are able to point to beautiful, similar projects they’ve done, that may well increase your confidence in them. Do they have good reviews or testimonials from previous customers? If you’re noticing quite a few dissatisfied customers speaking out, then clearly that could be a red flag. Will there be subcontractors involved? Do they have past experience working with each other? What kind of warranties (if any) does the company offer? Do they have a positive Better Business Bureau rating? Is the company a member of any professional organizations? Do you know anyone else who has used them? Consider checking out local social networks (like Nextdoor) to see if anyone else in your area has used their services and whether they were satisfied. Once you get the ball rolling to select your countertop specialist, remember other things you may need to take care of. For instance, determine what your budget is for your project. Be upfront with your countertop specialist and they should do their best to help you stay within your goals. It may be helpful to learn the pros and cons of different countertop options to help you decide which one you want in your kitchen. Here at Stone Specialist, our goal is to give you a top quality product and a positive experience. So if you need more help, don’t hesitate to contact us!